House of Fraser has announced the re-launch of iconic fashion label Biba's make-up collection, first introduced in the 1960's. Inspired by the original Biba ethos of creating affordable pieces with a fashion forward style, the range draws on inspiration from the original Biba themes of 1930’s Hollywood Glamour. 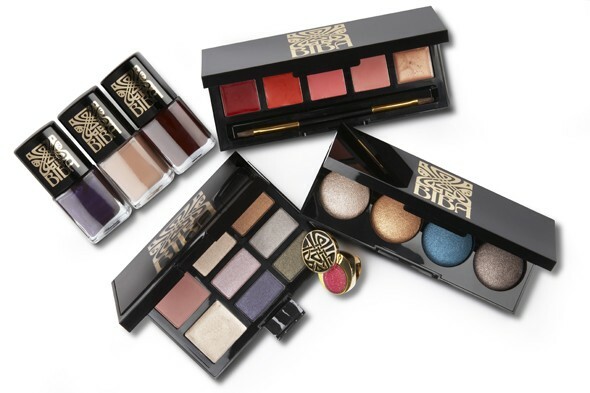 The collection comprises: Lip Palette (£24) in five shades; Baked Eyeshadow Palette (£26) in shades of molten metal and precious jewels; Face Palette (£34) containing six eyeshadows, an oyster pearl highlighter and pink blusher; Lipgloss ring (£15) featuring the Biba logo, the lid slides to one side to reveal a shimmery pink gloss; Nail Varnish Trio (£21); and Luscious Lashes (£18). The capsule collection will be available exclusively at House of Fraser from 1 October 2011. I like the packaging, Art Deco/Art Nouveau! 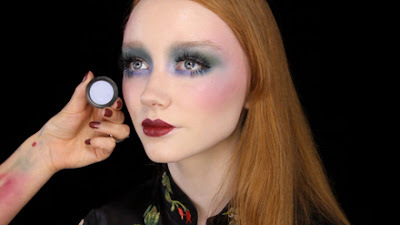 I can see myself back in the days, where applying makeup was a ritual, not just a routine!